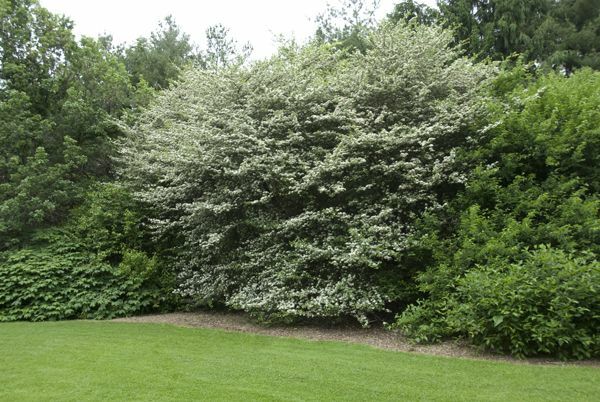 Native tree with long thorns and white flowers in spring. 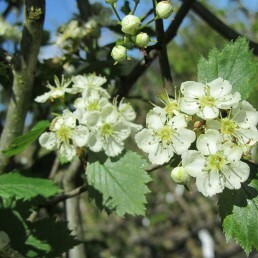 Small tree with long thorns and flowers in spring ranging from white to red. Bears round red or green fruit. 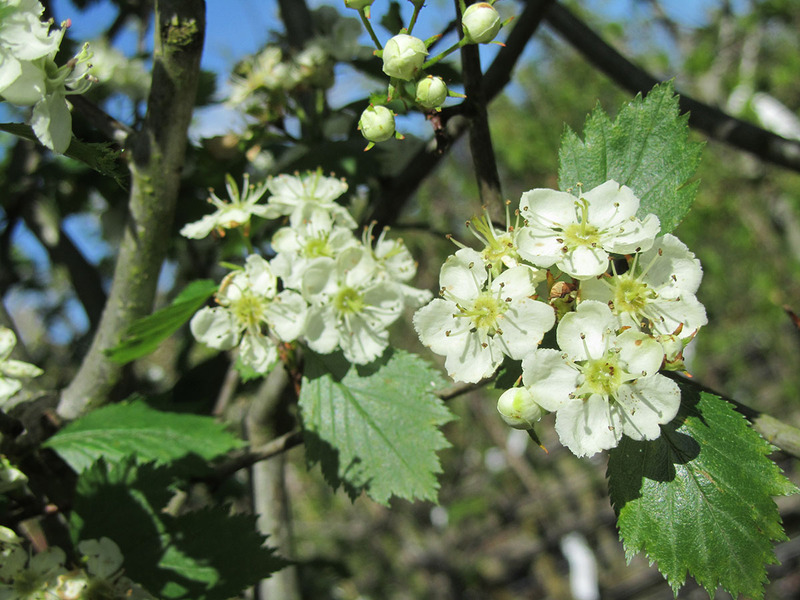 Crataegus crus-galli provides an excellent nesting site for birds as well as the fruit providing food for wildlife. Some of the birds include Cedar waxwings, Fox sparrows, ruffed grouse, rodents and other small birds.